The number of international students in the United States surpassed one million for the third consecutive year, increasing by 1.5 percent to reach a new high of 1,094,792 million, according to the 2018 Open Doors Report on International Educational Exchange. "Open Doors 2018", released today by the Institute of International Education (IIE) and the U.S. Department of State's Bureau of Educational and Cultural Affairs (ECA), highlights the impact of international education on the U.S. higher education sector, examining the numbers and profile of international students in the United States in 2017/18 and of U.S. students receiving academic credit for study abroad in 2016/17. International students made a significant financial impact on the United States in 2017, contributing $42.4 billion to the U.S. economy through tuition, room and board, and other expenses, according to the U.S. Department of Commerce. "International students studying alongside Americans are a tremendous asset to the United States," said Marie Royce, Assistant Secretary of State for Educational and Cultural Affairs. "We need to develop leaders in all fields who can take on our toughest challenges. We need people who can find solutions that keep us secure and make us more prosperous. We want to send a message that international education makes us stronger as a country," Ms Royce added. As for U.S. students, study abroad numbers grew by 2.3 percent. 332,727 Americans are studying abroad for academic credit at their home institutions in 2016/17. Approximately one in 10 U.S. students study abroad during their undergraduate career. "Expanding access to opportunity through international education helps us build stronger ties across the world," said Dr. Allan E. Goodman, president and CEO of IIE. "International students have more choices than ever before on where to pursue higher education. The dedication of American colleges and universities to students' academic, professional, and personal success is one of the main factors in our international competitiveness." While overall numbers of international students increased, new student enrollments fell by 6.6 percent in 2017/18, corroborating findings from the 2017 fall enrollment survey and continuing a slowing or downward trend first observed in the 2015/16 academic year. Current gains in the total number of international students are due primarily to increased participation in the Optional Practical Training (OPT) program, which allows international students to practice their skills in the United States for up to 12 months during or after they complete their academic programs, or up to 36 months for students who have earned a degree in STEM fields, said a statement from IIE. "OPT participation grew by 15.8 percent in 2017/18. Among enrolled students, drops were seen primarily at the graduate and non-degree levels," IIE statement added. 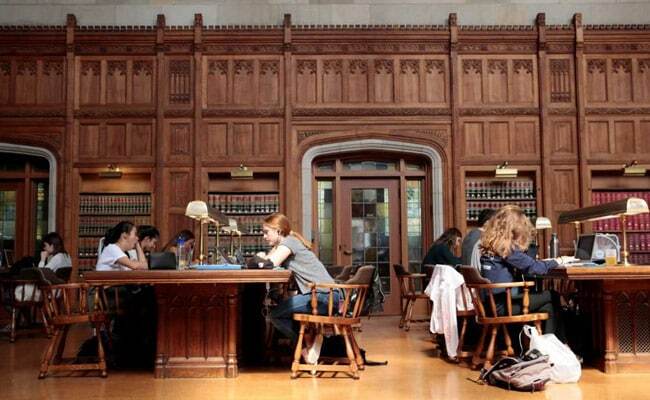 According to the report, the number of Indians studying across the US increased by 5.4 per cent to 1,96,271. "Looking at the past 10 years of data, the number of Indians going to the United States has doubled. The reasons are clear, Indian students are looking for a great education and the United States continues to offer this," Joseph Pomper, Minister Counselor for Consular Affairs, said at the report launch in New Delhi. "India provided the second highest amount of graduate students and fourth-most undergraduates. Also of note, the number of American students studying in India increased to 4,704 - 12.5 percent more than the year before," it said, adding the top places of origin for international students studying in the US were China, India, South Korea, Saudi Arabia, Canada, Vietnam, Taiwan, Japan, Mexico, and Brazil. "We are thrilled to see a significant increase in the number of American university students choosing India as a study abroad destination. The student exchange programs are one of the best ways to foster meaningful relationships and promote mutual understanding between American and Indian citizens," said Adam Grotsky, Director of United States - India Educational Foundation (USIEF).